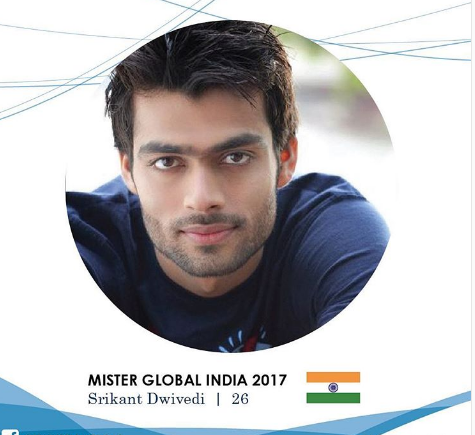 Srikant Dwivedi is Mister Global India 2017. Standing at 194cm tall, he is passionate about adventure sports such as river rafting and bungee jumping, He also likes travelling and reading novels. He graduated with a Bachelor of Commerce from Delhi University and is currently studying for his Masters in Business Administration.